Rampone & Cazzani makes a very compelling handmade baritone! 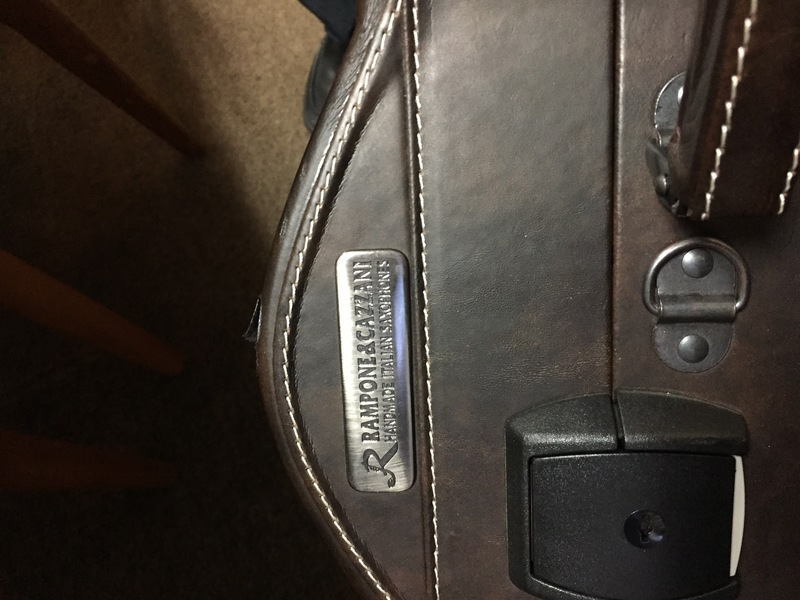 Rampone & Cazzani is an Italian company that has been making instruments for well over a century. Recently they have been putting quite a bit of work into their saxophones, and my opinion is that this is one of the finest modern baritone saxophones available anywhere. In this era where there are more new saxophone companies than ever before this is quite an achievement. One of the key things that makes the Rampone horn different is that it is completely hand built. It comes from a small artisan workshop in Italy. The bells are hand hammered and everything made by hand. Many of the newer saxophones are all built in factories in Asia. Even ones that claim to be hand assembled have quite a bit of machine-based work in them. Repairmen have grumbled about build quality, materials, and repair-ability of these horns, although that is not something I’m overly qualified to comment on. The modern Asian horns all play pretty well, they are generally priced fairly well and look great – but they all play exactly the same. (To clarify I mean the horns coming out of China and Taiwan, less so Japanese insturments). If you blindfolded me I’m not sure I could easily tell them apart. None of them really stands out as different and honestly they are all basically copies of Selmers – with some small differences here and there and a huge range of aesthetic finishes and options. Not to mention more and more keys (do you really need a high G key?). As baritone players even the companies that are making decent horns these days either don’t put as much time into their baritone, don’t offer a professional level horn, or only offer a Low A option. A really important difference and distinction between saxophone brands and models is the shape of the bore. The shape of the bore determines a lot about a saxophone, especially its sound. Conn’s, Martin’s and Kings all have different bore shapes and dimensions that the Selmer horns. 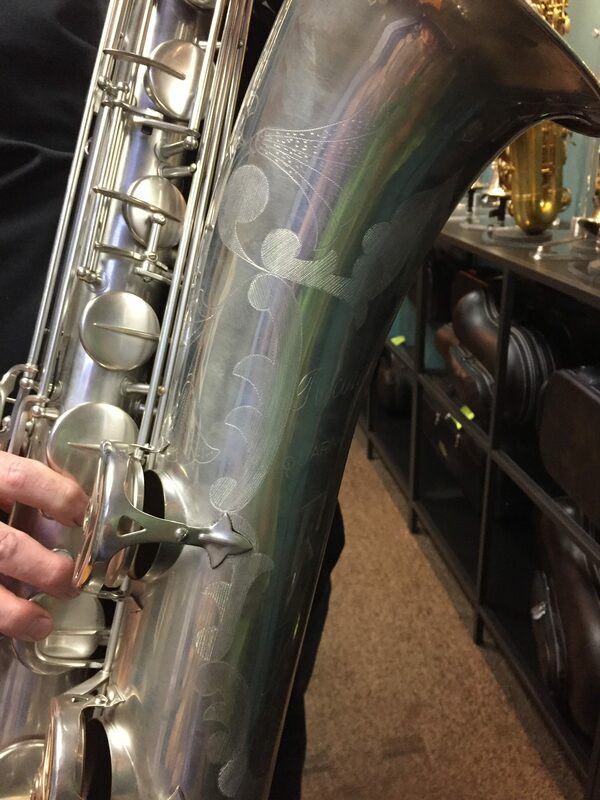 Most modern horn are modeled after the Selmer dimensions since the Mark VI is so highly regarded and was played by many of the saxophone greats. However baritone players have often sought out slightly different horns than alto and tenor players, often favoring Conn’s (Mulligan, Temperley, Carney, Smulyan etc). Rampone offers their baritone with many different options, finishes, materials and offers both a Low A and Low Bb variation. I’ve had a chance to play the horn many times and it’s by far my favorite modern horn to play and very comparable to my vintage Conn baritone, albeit with modern keywork and so many fewer dings and dents. I also recently had a chance to speak with Claudio who along with his father are the makers of these new horns. He is incredibly knowledgeable about saxophones and modern players and did not have the snake-oil salesman aura about him that a lot of other modern horn manufacturers do. When playing the horn it had a huge, robust sound. Lots of projection, and maybe a somewhat brighter sound than my Conn – although this could also be related to the silver plating. The neck is very long, even longer than my Conn, so it had a slightly different feel to it and need the harness/neckstrap to be let out a bit, but was fairly comfortable to play, and the modern keywork was much appreciated, especially compared to an unmodified Conn layout. 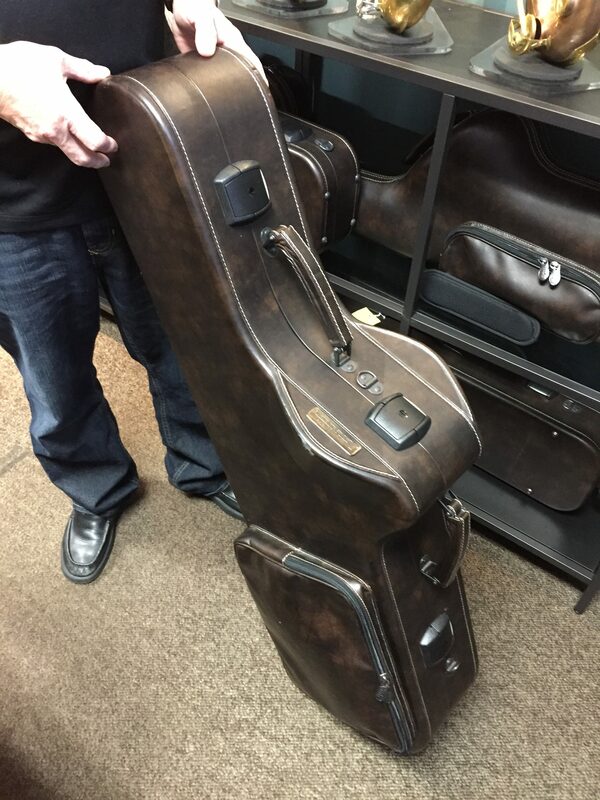 The horn comes with a beautiful hard case, covered in leather, and on wheels. The case in and of itself is a huge step up for a baritone! The model I tried is their R1 Jazz saxophone, it was fully silver plated, although the neck had a slightly different finish to it. The whole horn and especially their engravings are beautiful – as one would expect from Italian craftsmen. Check out the gallery below for all of the pictures! The folks over at Rovner are handling the US distribution for Rampone horns and have been travelling around to some shows with them to let people try them out. If you get a chance, I would really recommend trying these unique horns. The R&C horns look very nice, I think there is definitely a market for a hand Made bari to Bb. Something with as much character, charisma, as my old Conn, yet more functional and ergonomic keywork, That’s a win. Thank you for the comment. I agree completely and modified the article to specify that I was referring to the recent influx of newer horn companies from China and thereabouts. I actually would consider Yanagisawa’s boutique and artisan horns because they are carefully assembled in small batches, and play fantastically! If Yani made a low Bb model I would have one already! I played a Yani B 901. 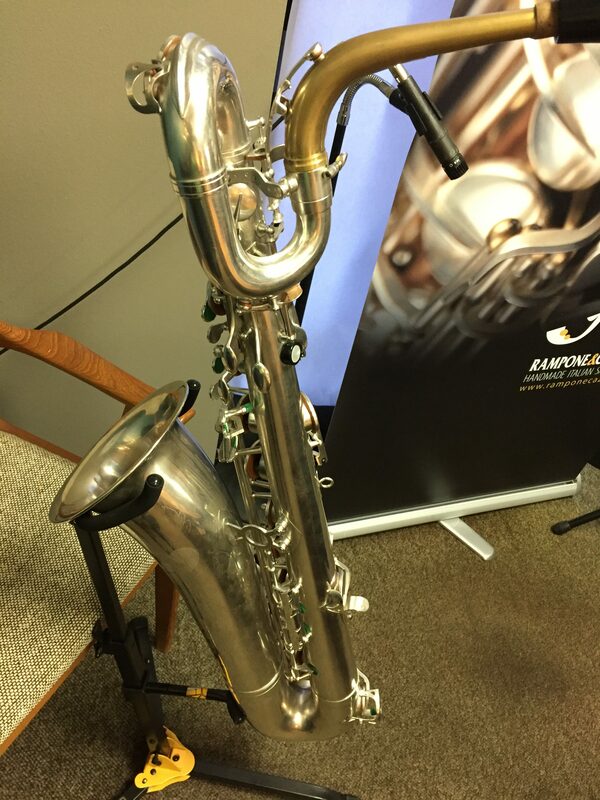 It played very similar to my Selmer super action 80 series I baritone made in 1983. Tone was slightly drier but keywork was really close to the Selmer. I own a Rampone R1 Jazz low Bb in polished gold plate. Super flat mid C#, Sharp from high G-C#. Flat high F#. Somewhat soft keywork. Big fat conn like sound. Plays the best with big chamber mouthpieces. Really that out of tune, eh? Does it sonically compare to the Conn 12M? What do you mean by soft keywork – bends easily? I”m considering one of these horns, to the point to taking a trip to play test one. Thanks…. 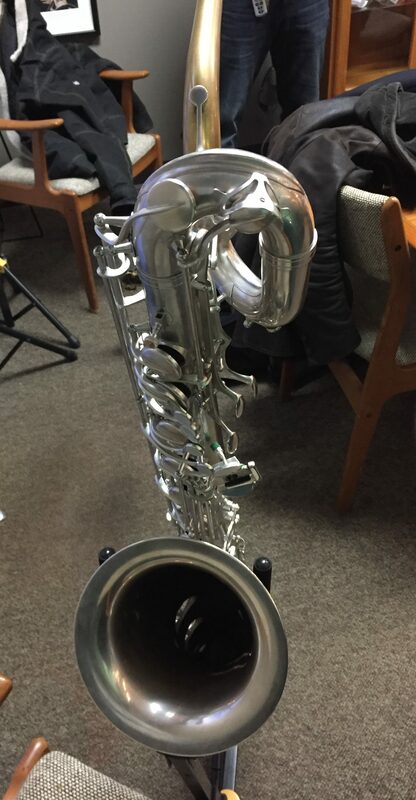 I recently play tested a Conn 12M bari and a Mark VI bari. I’m a long time Mark VI tenor player. I video taped myself, and the Conn sound is huge and much clearer than the Mark VI. But the keybed is difficult and I had an odd problem switching octaves on it – maybe because the left hand thumb rest and key are so small (I have really big hands). I used a rubber Berg 130 tip for the play test. I like big tips, but I use Francois Louis on my tenor. But this is what the store had available. 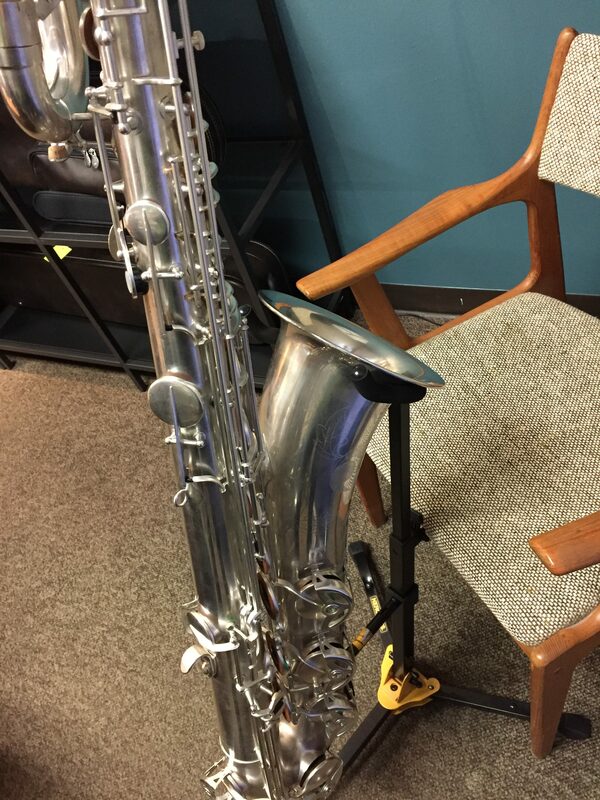 I may have a change to play test the R&C bari – and it’s in silver (maybe it’s the exact same horn as here…). As to SOUND, any thoughts on comparisons to the 12M? I thought the 12M took / required more air than the Mark VI – same with the R&C? Does the R&C have that singing, clear, huge bari tone?